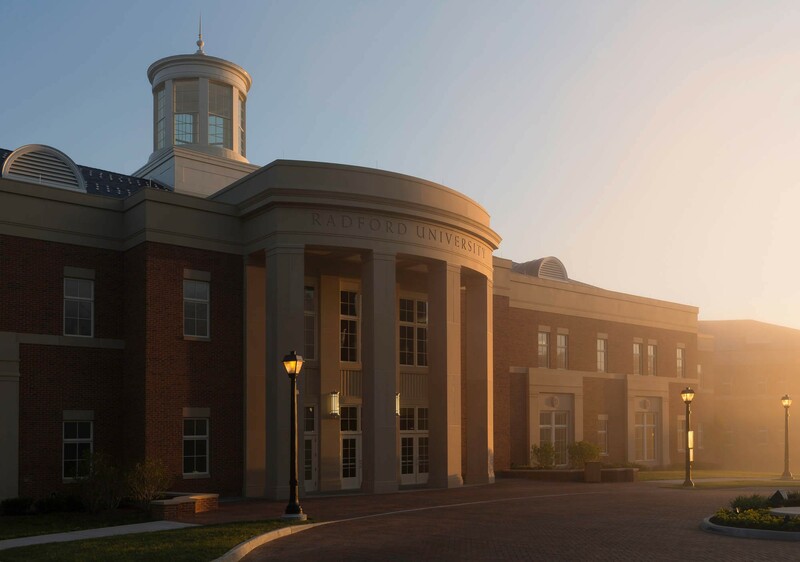 GLAVÉ & HOLMES ARCHITECTURE (G&HA) was commissioned to design the College of Business and Economics (COBE) for Radford University (RU). 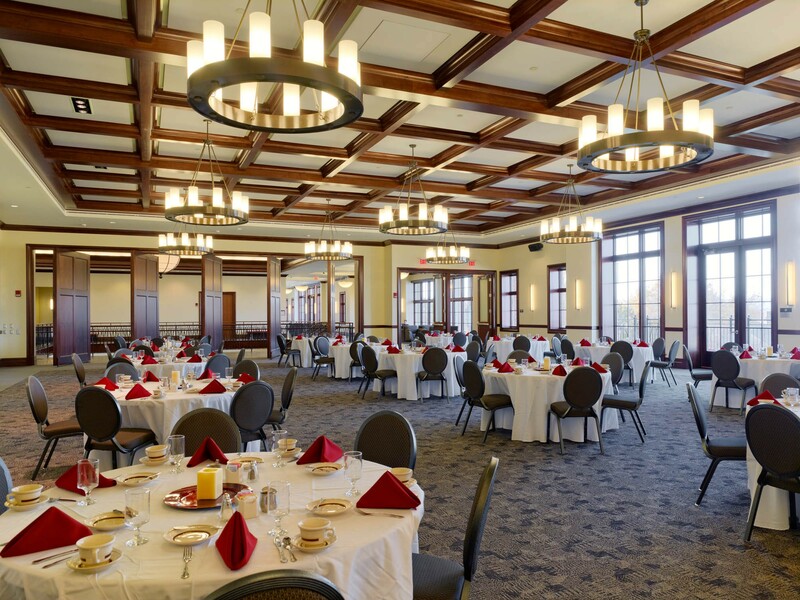 In addition to supporting COBE’s academic mission and raising the stature of its program among national peers, the 112,000-square-foot signature building serves as a gateway to the RU campus. 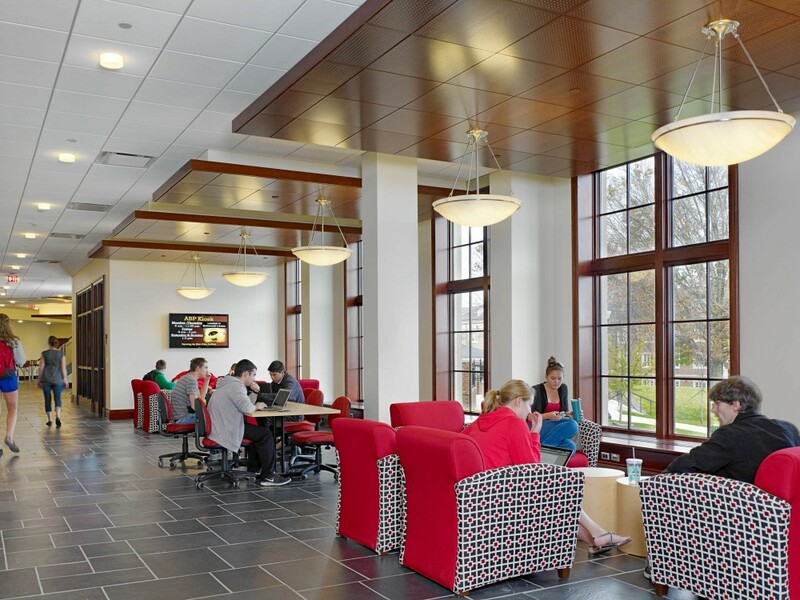 The building has two fronts as it faces both the surrounding neighborhood to the south as well as to the north with expansive glazing that frames elevated views over the campus. 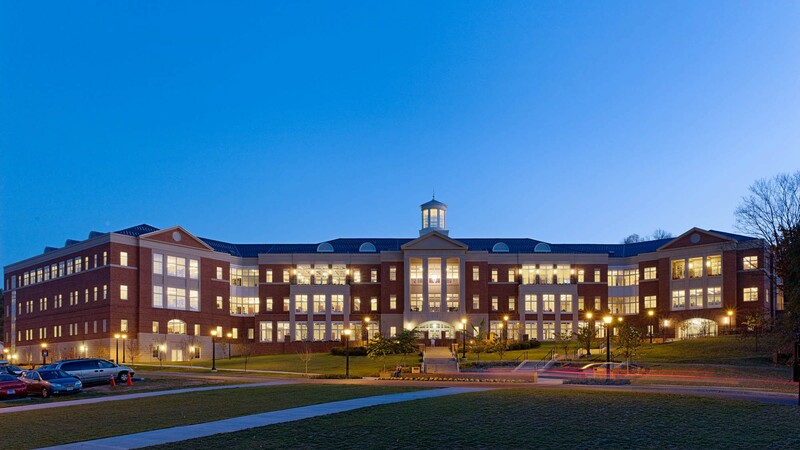 This slope across the site mandates an intimate two-story south front, and a three- and four-story northern elevation facing campus. G&HA’s scheme bridges COBE’s desire to project a forward-thinking image while respecting Radford’s traditional campus architecture. 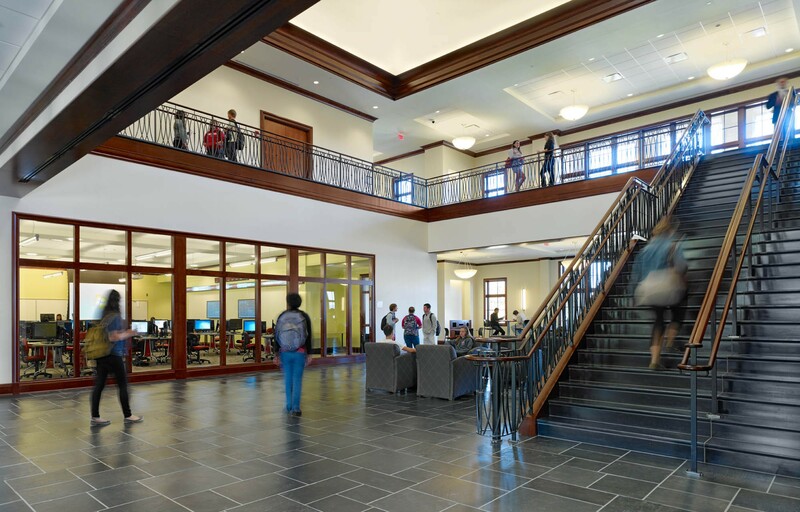 The structure maintains the existing materials palette of brick, limestone detailing, and slate roofs, yet expands the architectural vocabulary towards a modernized, distilled classicism. 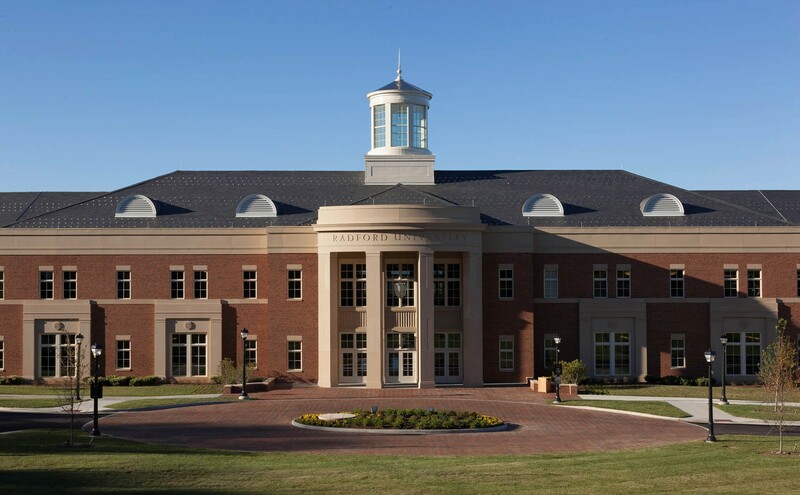 The cupola recalls similar features on campus, and due to its proximity to the highest elevation of any of the campus structures, it serves as a beacon to mark both the new college and the campus edge. 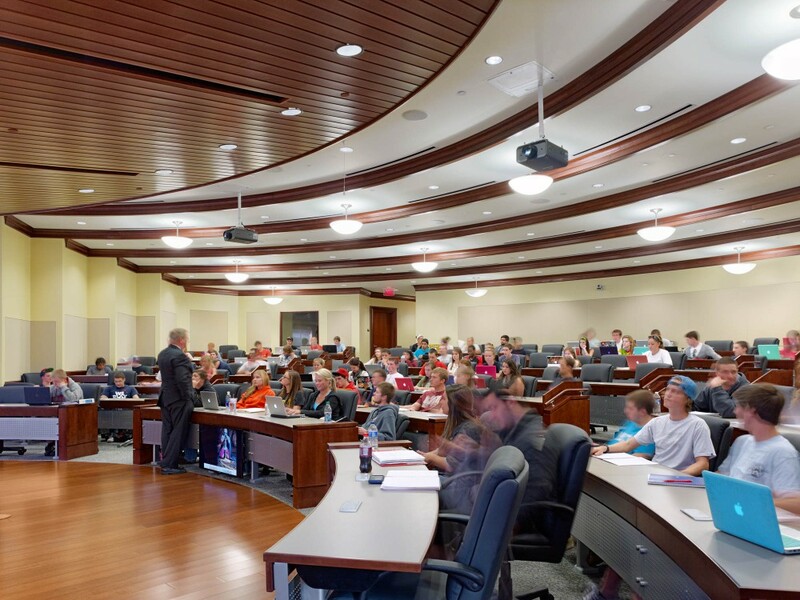 The building contains state-of-the-art technology in classroom and collaborative environments, administrative and faculty offices, a two-story atrium space, and a flexible assembly space. 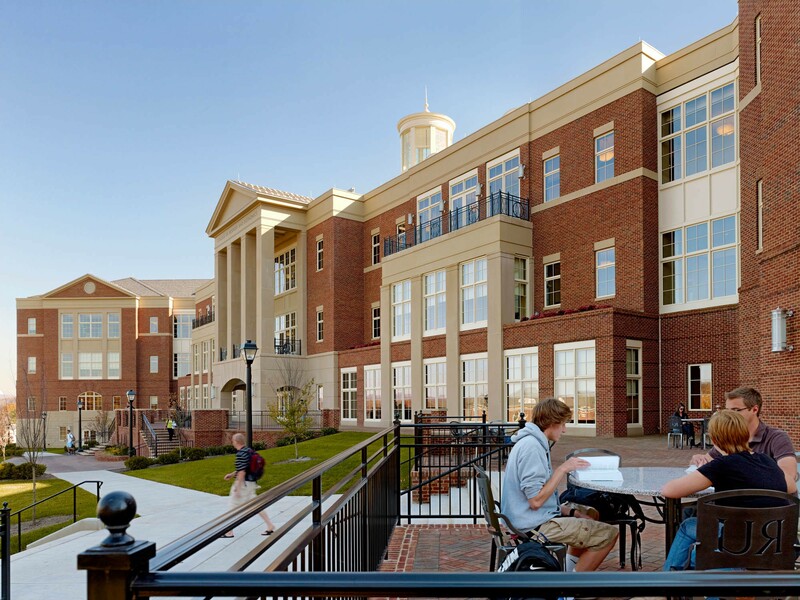 The project has attained LEED Gold status; its sustainable features include green roofs and ice storage HVAC system. Collaborating with G&HA was Ayers Saint Gross, who served as consultant providing programming and interior architecture.